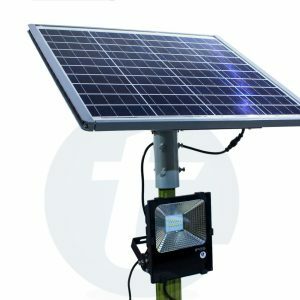 As a first time buyer of solar lights, we might get confused over which solar panels to go for. There are mainly 2 variations which you can choose from while buying a solar photovoltaic (PV) cells. These are known as mono-crystalline and poly-crystalline photovoltaic cells in technical terms. These are the major crystalline silicon cells. 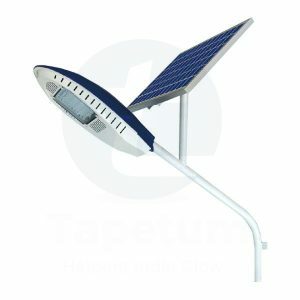 While buying a solar panel the most common question which arises is about the quality and cost of each type of cell. In this blog we will see the differences between mono-crystalline and poly-crystalline photovoltaic cells, which will help the buyers to decide accordingly what type of PV cells they need. Before going to the differences first let us understand what photovoltaic cells are. Photovoltaic cells are made up of silicon and as it is a very good semiconductor that is the reason why it is used. With the use of silicon the energy is captured fast from the sun and converts it into electricity as electrons can easily travel through it. Silicon is extracted through the process of carbothermic reduction, a process in which silica is heated in the presence of carbon. Although it is one of the second most abundant elements in the Earth’s crust, pure silicon has to be extracted before putting it into use. Once the extracted silicon cools down, it forms crystals. 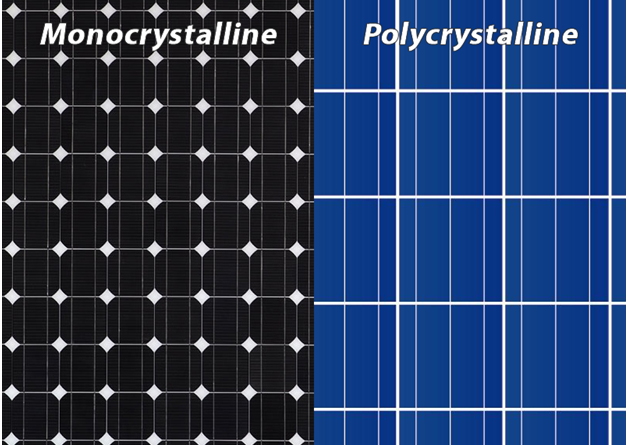 The stage of extraction and the size of the crystals lead to the basic difference between mono-crystalline and polycrystalline panels. Both these technology serve the same function: capturing energy from the sun and turning it into electricity. They both are made from silicon and most of the manufacturers produce mono-crystalline and polycrystalline panels as they can be good options for home purpose. But only few key things make it different from each other which we should understand before making a purchase. Mono meaning solo hence, mono-crystalline solar cell means single crystalline cell. When silicon is extracted as a single large crystal it goes into making a mono-crystalline cell. Since the cell is composed of a single crystal, the electrons that generate a flow of electricity have more room to move. As a result, monocrystalline panels are more efficient than their polycrystalline. Due to the presence of single crystal it will absorb more solar energy and produce electricity. 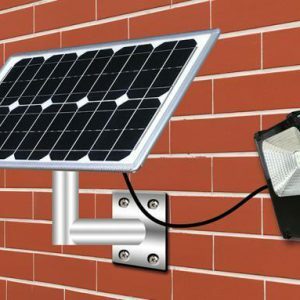 These types of panels are costlier because of the four-sided cutting system as compared to polycrystalline solar cells which is simpler in designing. Monocrystalline cells appear black in color. 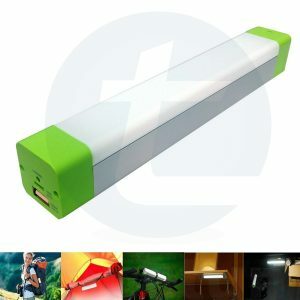 It comes very expensive in the market and that becomes over the budget for some people. Polycrystalline Cells are produced from a piece of silicon which is made up of many crystals. It is made by melting up many fragments of silicon together to form the wafers for the panel. This silicon is then poured into a square mould which creates the specific shape of polycrystalline. They do not go through any cutting process like monocrystalline cells. These solar panels are also known as “multi-crystalline” or many-crystal silicon. Although these solar cells are available at an affordable price it is less efficient compared to monocrystalline since, there is to less freedom for the electrons to move. They also need a lot of space and they are usually grainy and appear like dark-blue hue. The manufacturing process of polycrystalline is cheaper and easier compared to monocrystalline cells. 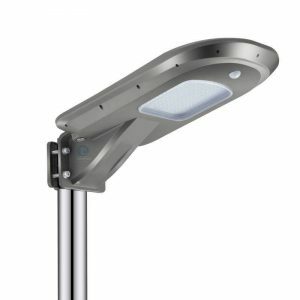 To conclude, both monocrystalline and polycrystalline cells will help in decreasing the electricity bill. They both are good in technologies and choosing one simply depends on personal taste, budget and on availability of space.